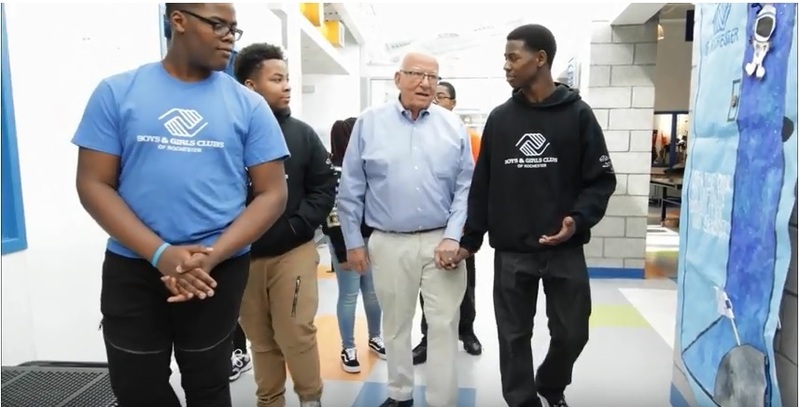 Nelson Leenhouts and his late, twin brother Norman were honored by the Boys & Girls Clubs of Rochester with the 2018 Lifetime Achievement Award May 4. The celebration and fundraising event, presented by M&T Bank, drew more than 400 guests to the Joseph A. Floreano Rochester Riverside Convention Center and raised more than $160,000 for the local youth development organization. The award dinner commemorated the tremendous impact the twin brothers have had on Rochester, through business and their philanthropy. Watch a special tribute video, produced by Crystal Pix, Inc. The theme of the evening – “From Dairy Farmers to Developers” – paid homage to the brothers’ upbringing and values they’ve carried with them throughout their careers. Guests were dressed “farm chic”, with cowboy boots, bandannas and more. It was a true country feel with hay bales, checkered tablecloths, stalks of wheat, twinkling lights and barn doors opening to the dining room. 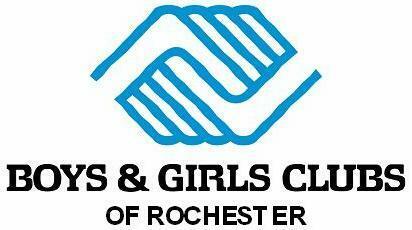 The program, emceed by 13WHAM and Fox Rochester anchor and reporter Jennifer Johnson, included several tributes to Nelson and Norman and performances by Boys & Girls Clubs of Rochester members and alumni.